Leon. borona, L. Panicum milliaceu, Fr. 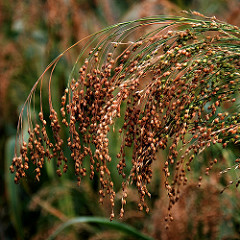 millet or panic millet, Eng. proso millet, broomcorn, millet, hog millet or panic grass. This graminaceous plant originated in China where it has been cultivated for some 5,000 years. It has been cultivated in southern Europe for 3,000 years at least. In Madrid it is planted in June and harvested in September. It ripens 60-80 days after sowing. In Latin it is called millium for having 1,000 seeds in each ear. During the Middle Ages it was a major grain. 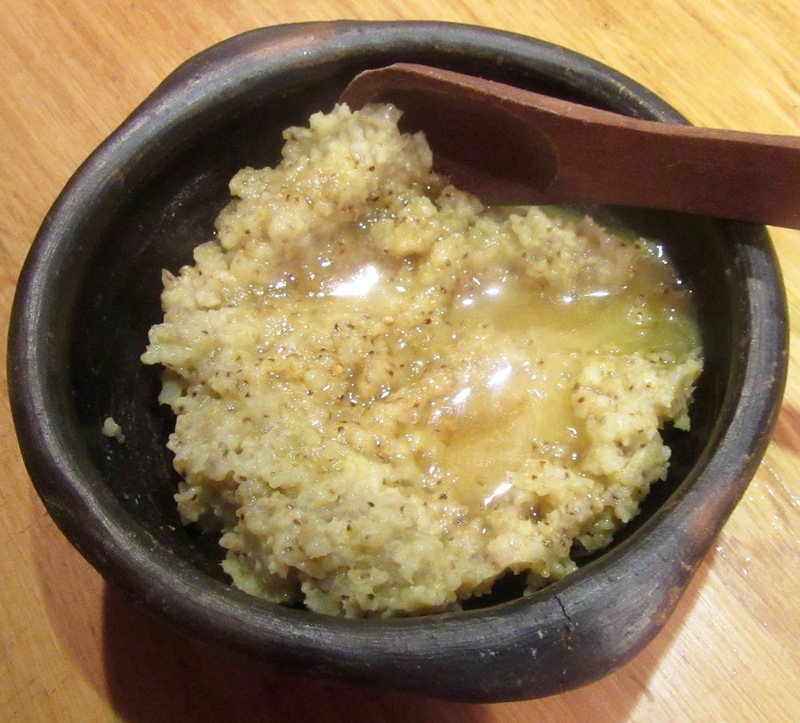 It was used to make bread, included in porridge and eaten like rice. Livestock eat it as fodder after the grain is threshed out. The seeds are large and lighter in color than foxtail millet, see mijo. They are most nutritious as they contain 6-11% carbohydrates, 10% protein and 4% fat. Proso millet is often confused with foxtail millet except for those who have birds today as they eat both grains. Heat olive oil and add millet. When toasted add broth and salt. Stir well. Bring to a boil. Lower heat and simmer for about 1 hour until water is absorbed and the millet is soft. Cover and let sit 20 minutes. Serve warm with honey or brown sugar.